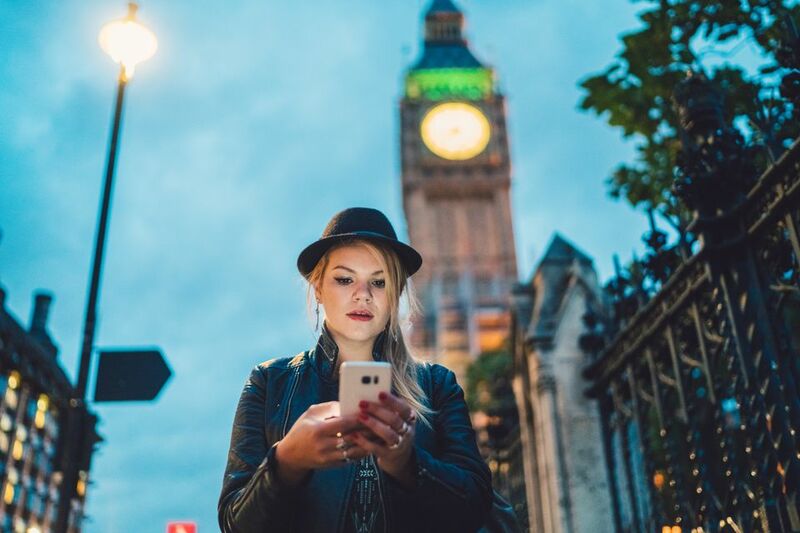 Having a phone overseas is not usually a necessity for most travelers, especially since roaming charges can be astronomical. However, the Mobal GSM World Phone is especially good for those who don't travel frequently outside the United States and don't have a mobile phone with an international SIM card. The Mobal GSM phone is very useful for checking in with friends and family back home, but it can also be used to call for reservations, check with the airline if you miss a flight connection, and as a security blanket when touring. And your family will know you are just a phone call away. International phones to buy and pay a fee for minutes. Global unlimited phones with a GSM SIM card with free unlimited text and data in more than 130 countries. Satellite phones to rent that can be used anywhere on earth. The pros and cons listed below apply to the phone that is purchased and then you pay for minutes with no monthly fee. Many phones sold in the United States already come equipped with an international GSM SIM card that just needs to be turned on before traveling overseas. Check with your cellular provider to see if this applies to your current mobile phone. International rates have come down in recent years, and providers such as Verizon have a daily plan that includes text, calls, and using the data on your monthly plan. If your mobile phone is an older product and doesn't work outside the United States, then buying a phone from Mobal might be a good option for you. Purchase a phone and incur only per minute charges afterward. Mobal GSM World Phone works well when moving between countries, which is perfect for cruisers. No monthly fee is excellent for travelers going overseas for just a few weeks each year. More flexibility than international calling cards or pay phones. Calling friends or family from a port of call is memorable and they can call you. The Mobal GSM World Phone is perfect for those who travel overseas for a few weeks each year. After the initial investment, there are no monthly or annual charges and no minimums. You just pay a flat rate per minute, depending on which country you are calling from. Rates to call the United States from most countries in Europe run about $1.25 to $1.50 per minute, so it is not cheap. However, the Mobal GSM World Phone is great for staying in touch with family back home, making short local calls when overseas, or just for security. Unlike many other phones, the Mobal GSM World Phone works well in more than 140 countries, and you never need to change the SIM card. Hotels often charge high prices to use their phones, so it's nice not having to buy a calling card or even look for a pay phone. Having family members able to call you is also good for those who have aged parents or children back home. The phone can sit in a desk drawer, costing you nothing, and waiting for its next opportunity to travel overseas. Just remember to charge it up before your next trip, and you'll be off!